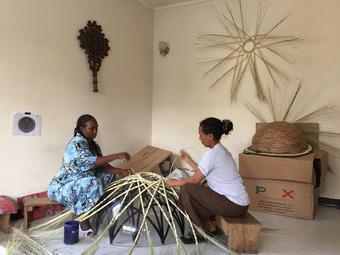 Developed and produced in Addis Ababa, these works celebrate the visual and structural aesthetic of hand craftsmanship. 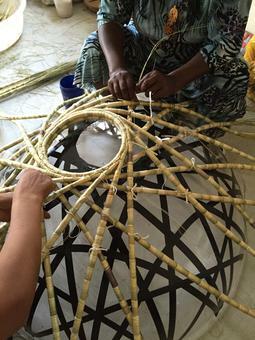 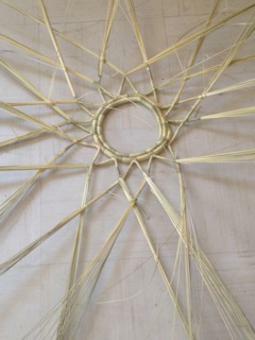 An open, woven basket has been affixed to a circular mirror so that the mirror appears to bisect a complete braided sphere. 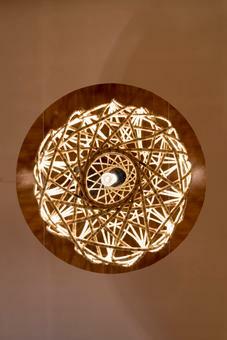 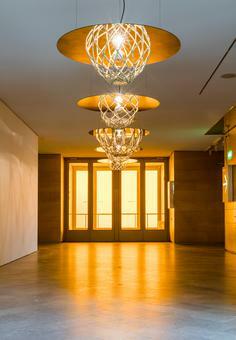 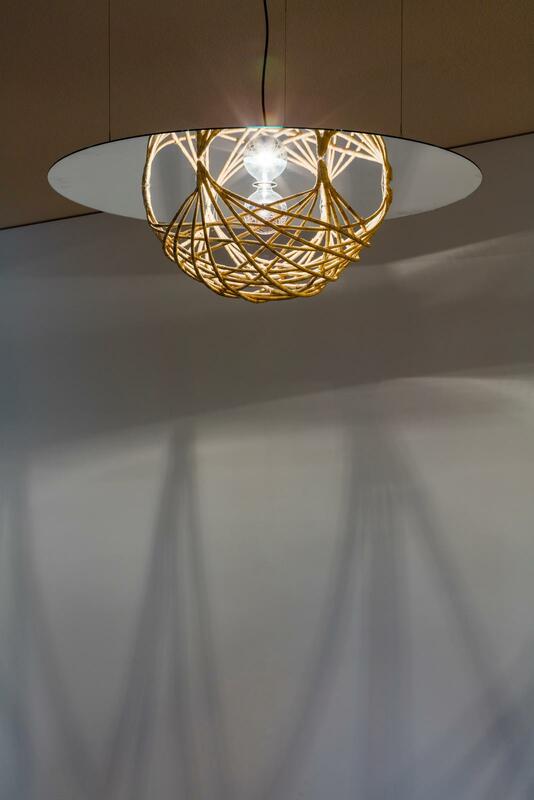 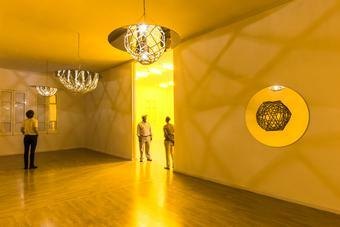 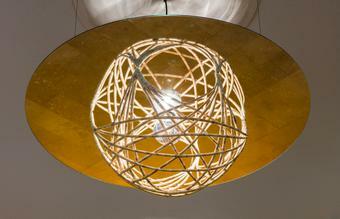 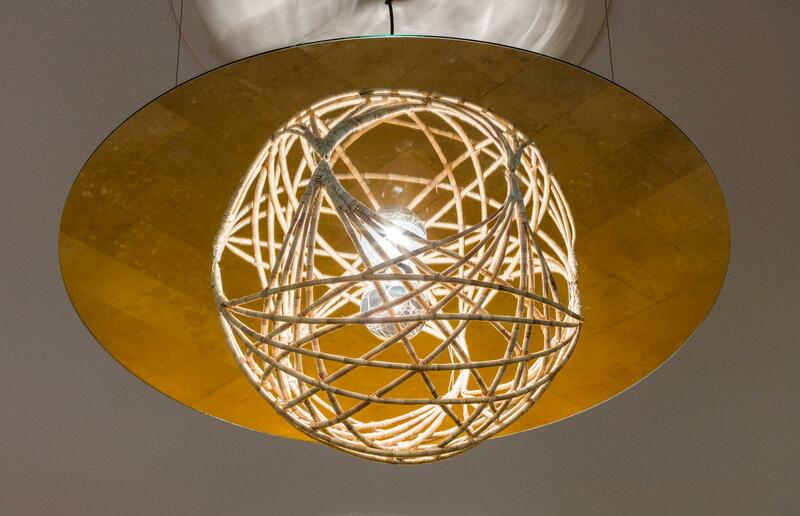 Gaps in the basket’s weave allow views into the interior and allow light from a central bulb to shine through. 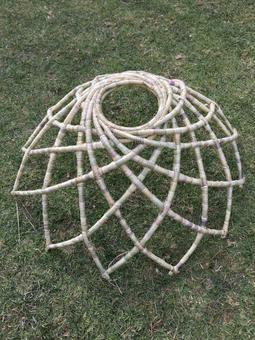 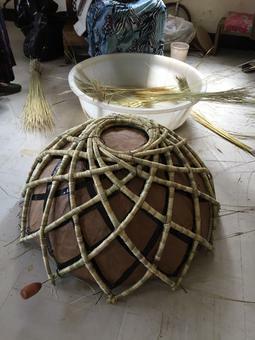 An object designed to hold things – an object whose essence is linked to a relationship with other things – the basket here holds and contains its own reflection.